The Mighty Mellinger’s in particular we are referring to John Mellinger. 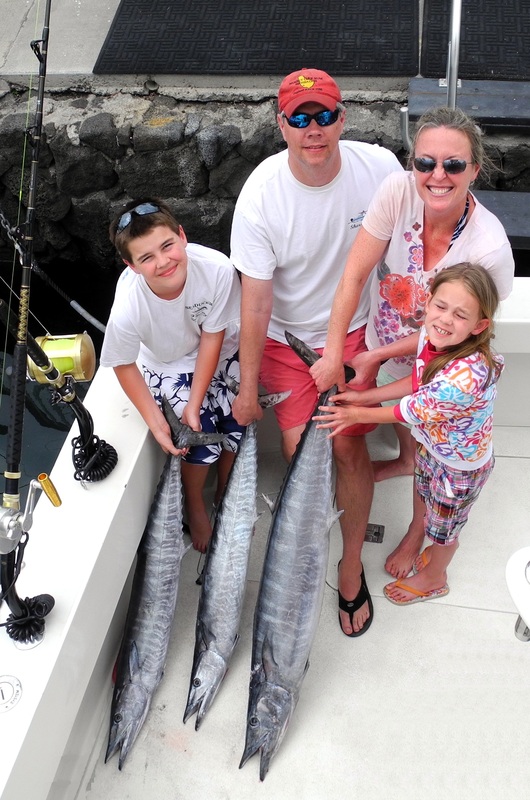 Colin Mellinger and his two sons John and Bert boarded Fire Hatt for an afternoon of family fishing in Kona Hawaii having hopes of breaking the family big fish record. After my crew, Linda and Brett got the lines out and the deck ready, we had the guys gather for the “Chair Talk”. As they were determining who the first angler would be, the Short Rigger line starts screaming! We are hooked up! 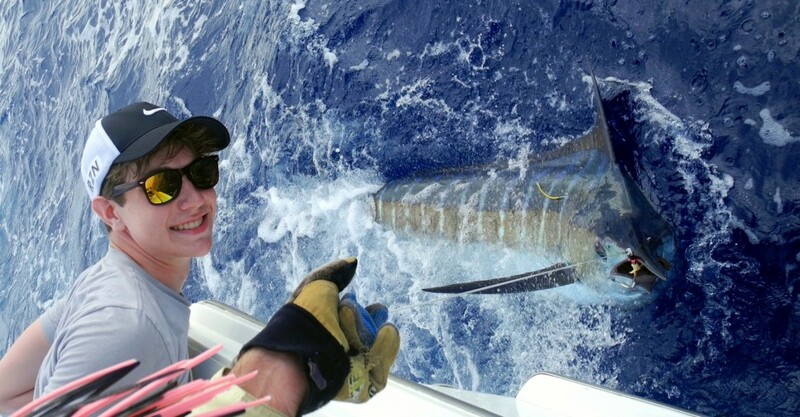 After we got John in the chair and got him strapped in the fish was off… we looked at him and stated “And that’s how we do the chair talk!” We worked the area for a while then headed south. 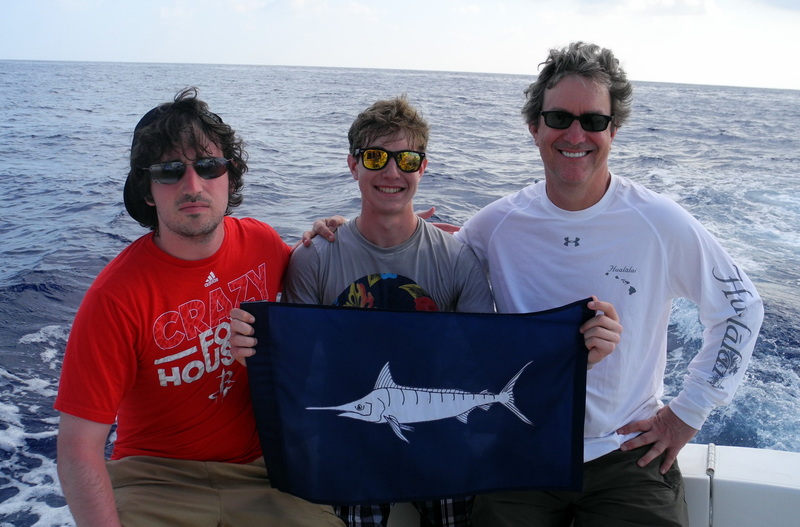 As the afternoon started to wind down we were hoping for another chance at what would be John’s first Marlin. Then our wishes were answered with the same Short Rigger line getting hit. 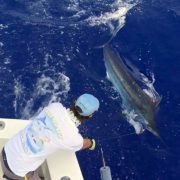 John fought the fish for about 30 minutes before successfully tagging and releasing his first Pacific Blue Marlin estimated at about 200 lbs. At age 16, from Houston, TX. John Mellinger is the 2014 Texas Cycling Champion for his age group. 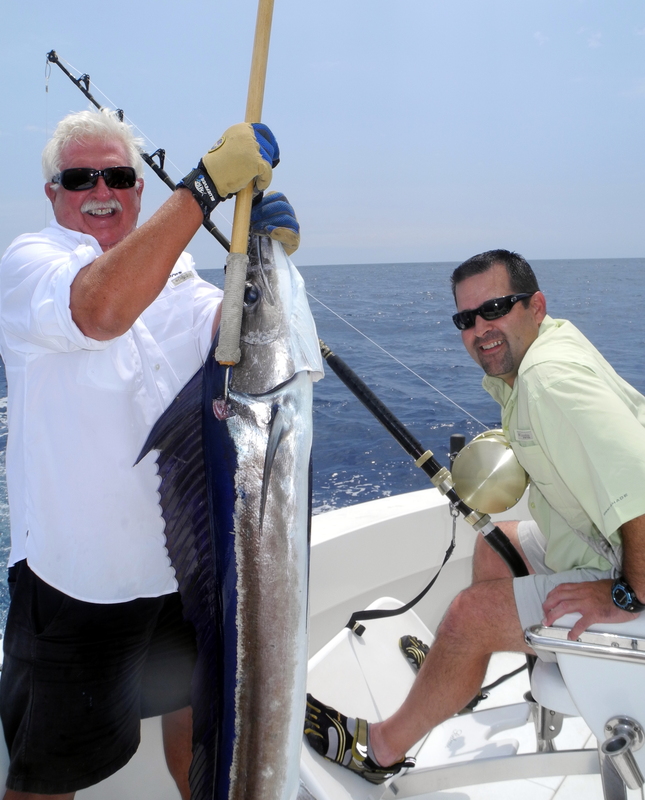 Now he is adding the largest fish of the Mellinger Family to his list of accomplishments.